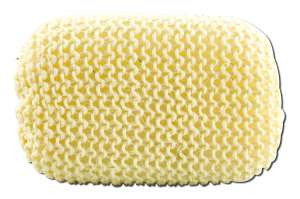 Earthline Sisal Bath Sponge #504. Natural Vegetable Fiber. Plastic wrapped. Approximately: 5 1/2 X 4 X 2 inches. Sisal covered sponge. Use as you would any bath sponge. Cleans, invigorates and massages.